For the past few years the Texas State Championship has been held at Ford Hood, a military base that provides a course completely closed to traffic. Negotiating this race location is not always easy, as security measures are very strict, but the payoff is huge. A closed course means no center-line rule is required, which improves safety and also prevents many controversial penalties. Additionally, the race raises money for the Association of the United States Army. The course at Fort Davis is a 33-mile loop, which is traversed between 1 and 3 times depending on the race category. It is among the hillier routes in the area, which makes for tough, exciting races. As often happens in women's racing, due to low numbers, the Cat 3 women were started along with the Cat 1/2 race (though the races were still scored separately). This has the downside of suddenly changing the tactics and nature of the race. On the bright side, it means that a handful of women don't have to suffer through 66 miles by themselves. The only perfect solution to this dilemma, of course, is to get more women out there racing next time. And there's plenty of incentive, ladies! Money and fame to be won, beautiful pictures to be had, great scenery, a killer workout, drama, glory, and pain! What more could you want? 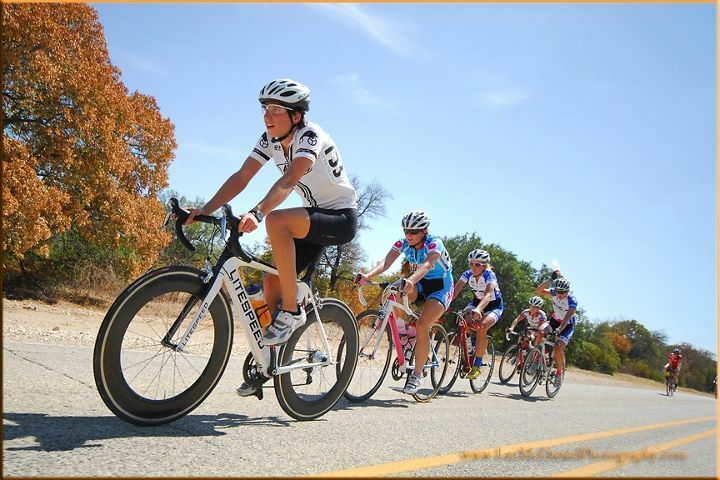 Another surprise was in store – pro triathlete stud Desiree Ficker was in attendance for the Cat 3 race. She would certainly be an outlier in power production for the category, so the other girls would need to be clever to get to the finish ahead of her. What they did not know, was that Desiree had run in a 16-mile running race that morning, and won it! 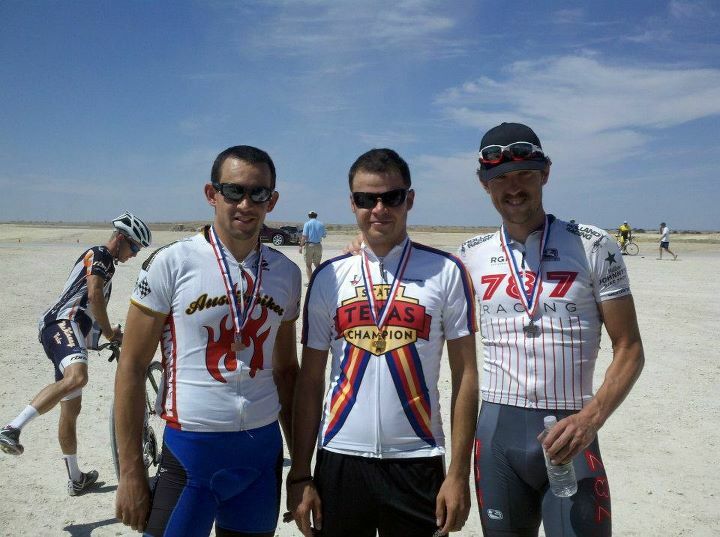 The 1/2/3 race was 66 miles, two laps of the hilly Fort Hood course. The temperatures were already over 100 degrees, with no shade available to escape the heat of the sun. One would think this would cause the race to start conservative and slow, but Lauren Robertson and Kaelly Simpson of the Metro Volkswagen Cycling Team had other plans. From the gun the two were taking turns launching attacks up nearly every hill on the course. Power file data from the race shows sustained 500+ watt efforts with peaks over 800 watts just to hang on to the lead pack on the first lap! The aggressive tactics of the Dallas Metro team shelled almost the entire race off the back. 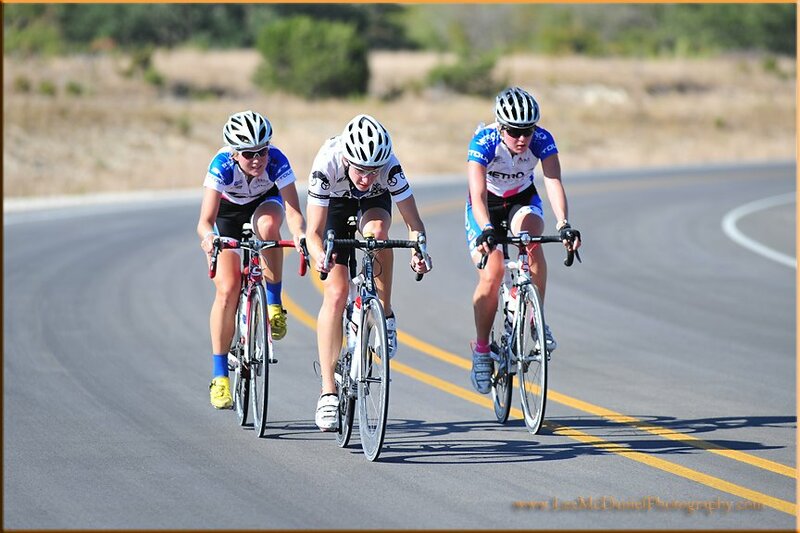 Eventually only Sheri Rothe of the Austin Flyers, Kat Hunter of Austin Tri-Cyclist Women's Racing, Desiree Ficker, and the two Metro girls remained, with a $100 prime awaiting at the end of the first lap. 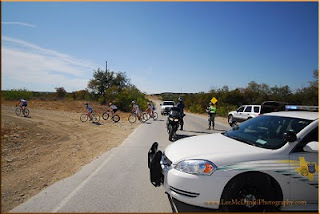 When they neared the line, Lauren pulled up in front of her teammate, perhaps to help lead her out, but Kat pulled to the left (the wrong side it turns out, as it was windward) and shot ahead to take the Cat 3 prime, while Lauren collected the Cat 1 prime ahead of Sheri. The girls all grabbed a bottle or two in the feed zone, staffed by an enthusiastic crew from Comanche Racing, but it would not be enough water to deal with the extreme heat. If the story of lap 1 was huge attacks, the story of lap 2 was surely unexploded bombs and cyclocross racing! The power peaks were down this lap but the drama surely was not. In the middle of lap 2, the leading women encountered a military police officer who told them they could not continue down the road. An "unexploded ordnance" had been sighted near the race course by one of the police officers manning the corner. The whole race stopped there for a moment as the lead car negotiated with the MP. The options were to turn around (confusing given that the rest of the field behind were able to use both lanes of the road) or take a dirt road detour around the danger radius. The lead women were starting to get anxious at the delay, worried that they would lose their lead. The women made the call to head down what was referred to as the "tank road," about a mile of dirt and rocks. No doubt many racers had picked their lightest, most aerodynamic wheels, and most supple, fast tires for this big race. Fortunately everyone made it through the dirt without incident. Nobody fell, nobody flatted, and nobody was exploded by any bombs at all. Back at the finish line, spectators were hearing the news about the bombs, and military helicopters were flying overhead. Like typical bike racers, most of us were more concerned about the race being interrupted than anyone's safety. Everyone was relieved to hear that the lead pack had made it through. We began congregating at the finish line where we would pick up bits of news overheard from the officials race radio. At one point, we heard, "We need two Gatorades at the Iraqi Village ASAP!" News trickled in that it was Desiree Ficker, who was now on the way back in one of the race vehicles, suffering from severe dehydration and/or heat stroke. We also learned that Sheri Rothe had lost contact with the lead group, leaving only Kat (Cat 3), Kaelly (Cat 3), and Lauren (Cat 1) at the front. Lauren now had her own victory all but assured, and she was working hard to get her teammate a win as well. Finally, in the distance we saw the three girls approaching. Lauren went to the front, setting a strong pace to lead out her teammate, with Kat having to hold 250 watts in the draft for a minute and half to stay on the train. Around the 200m sign, Kat moved left and threw down a 650-watt surge to come around the Metro girls and get the Cat 3 win, just a few bike lengths ahead of Kaelly. Lauren eased up, a hard day's work completed, the new Cat 1/2 State Champ, and well deserved! On the men's side a small breakaway group survived to the end, consisting of Stefan Rothe, Logan Hutchings, Gray Skinner, and Brant Speed. Logan Hutchings would be first across the line, but not being a permanent resident was not eligible for the award of Texas State Champion, which went to Stefan Rothe. Brant Speed followed in 2nd place with Gray Skinner in 3rd for Team Austinbikes, making for a complete podium sweep by the city of Austin! 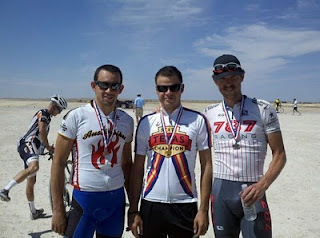 The men's 4 race was won in dominant fashion by Kevin Girkins of Team Concept Racing. However, as he crossed the line he was so excited with his performance he let loose a primal scream which included a four letter word – right in front of the officials. Profanity is against USAC rules and the officials decided that the punishment would be relegating Kevin to 6th place. Let the record reflect, however, that while Kevin's situational awareness needs development, he crushed that race, and won it. Kevin has since apologized publicly and accepted his relegation with class. Good work Kevin, you will be back! Sir Christoph Trickey of Team Wooly Mammoth recovered from a tough day in the Cat 2 race on Saturday by consuming two beers, and returned on Sunday to take 2nd in the 35-39 age-based championship. Newcomer Ash Duban, sporting the Desiree Ficker kit she designed, fought off an aggressive ATC Women's team to win the Women's Cat 4 championship for Comanche Racing. The ATC women were all present at the front of the race, taking 3rd, 4th, 6th, and 7th place in their first season racing together. 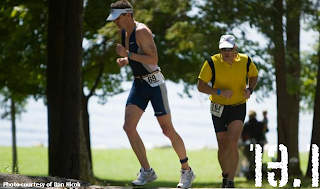 Go to Lee McDaniel Photography for more great race photos. The Racing Post has more details on the race, venue, and military contributions. Thank you to Fort Hood, Copperas Cove, and everyone who helped make the race happen! 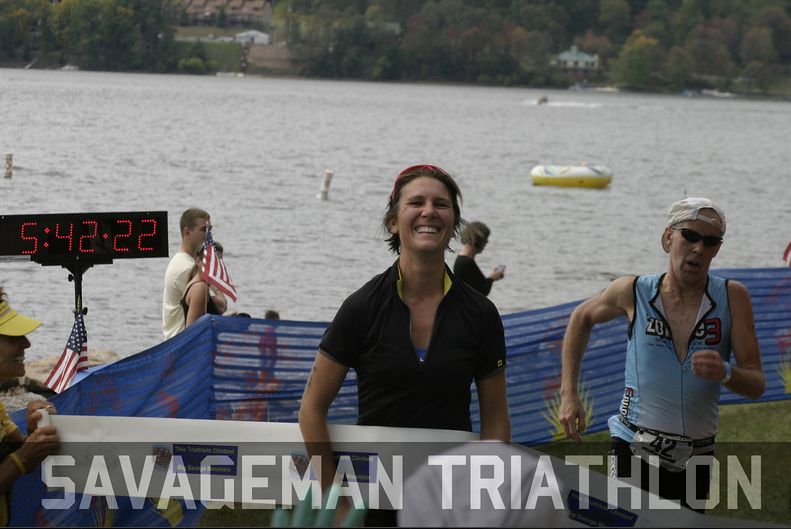 The Savageman Triathlon Festival is a two-day event located in the very northwest tip of Maryland in the Appalachian mountains. The name comes in part from the Savage River, which you descend down to at the start, and Big Savage Mountain, which you must climb up ... twice. Mostly though, this race is called Savageman because it is the hardest half in the world, with a bike course that Dave Scott, six-time Ironman World Champ and 6th overall this year, described as "the most relentless bike course I have ever seen." Savageman is a much more intimate experience than your average WTC race. The field is very small at around 500 brave competitors, and the event is nonprofit, with all proceeds going to the Joanna M Nicolay Melanoma Foundation. Despite the smaller number of competitors, the race has first-class support. Every turn on the bike course is manned with volunteers and signs, and dangerous spots on descents are marked. The course is closed to traffic, except to a few locals who live on the route heading to church. There are fully stocked hand-ups with water, HEED, gels, and Coke all over the course. Two of the climbs even offer a real Tour de France experience with insane fans screaming at you in crazy costumes. Every year there are a few big names that show up to take on this course, including uber bikers Bjorn Anderssen and Philip Graves (current bike and overall course record holder). This year we were all treated to "The Man," Dave Scott, who was taking the challenge at 57 years of age, as well as US Olympic medalist Susan Williams. 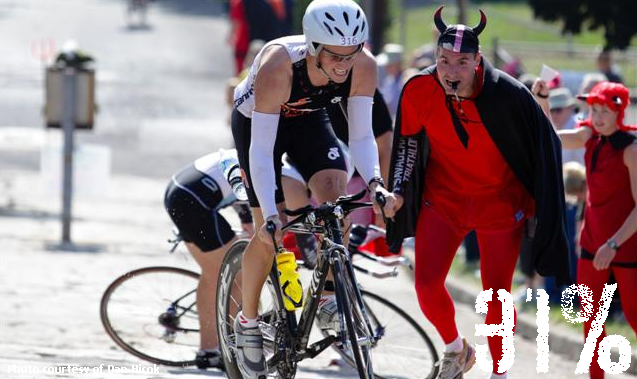 Savageman features a 30-mile triathlon on Saturday and a 70.0 event on Sunday. Participants who do both are recognized as having completed the Savage 100. Your trusty ATC embedded reporter was signed up for the main event, the Savageman 70.0! Luckily, course architect Kyle Yost has not yet figured out how to make the swim uphill, so the water was completely flat, making it the only flat part of the entire race. The 1.2-mile swim takes place at Deep Creek Lake State Park. 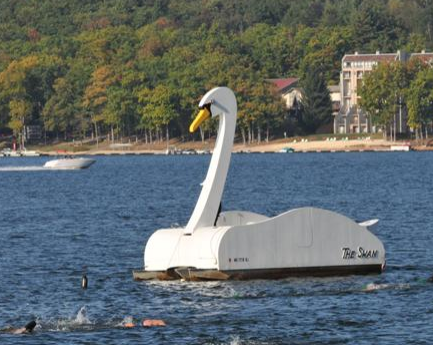 The course is a simple rectangle with a huge inflatable turtle and swan marking the two 180-degree turnarounds. The morning was a bit cool, about 50 degrees, so we stood on the beach shivering in our wetsuits, wondering if we were going to freeze on the bike. The water was cool but not at all uncomfortable in a wetsuit, however, and we found we were warmer in the water than we were out of it. My wave was the third to go. The swim was uneventful for me, with just a single punch to the head, and no lake water swallowed – not bad! I got out of the water in exactly 30 minutes, a good swim for me and 8th in my age group. Holy $%! !& This is the most beautiful bike ride I've ever been on, the most fun bike ride I have ever been on, and the 2nd hardest bike ride I have ever been on (Austin's Tour Das Hugel has it beat, but only because it's twice as long). Half a mile into the ride you get a taste of what is to come with "Toothpick," which is just a quarter mile long but steep enough to get your attention. Following that is about 5 miles of rolling hills where you can really hammer and take advantage of your aero gimmicks if you brought them. I went fairly hard here because I knew that coming up I would get a long rest on the roughly 10-mile descent down to the Savage River. This descent is very fast and fairly technical. There is certainly time to be saved by previewing the descents and being brave. You could also die, so be careful! Nothing in Austin can prepare you for descents like this, zooming through a tunnel of forest at 40mph, carving switchbacks at the limit of adhesion, figuring out ways to pass other cyclists without putting anyone in danger, all of it very thrilling. 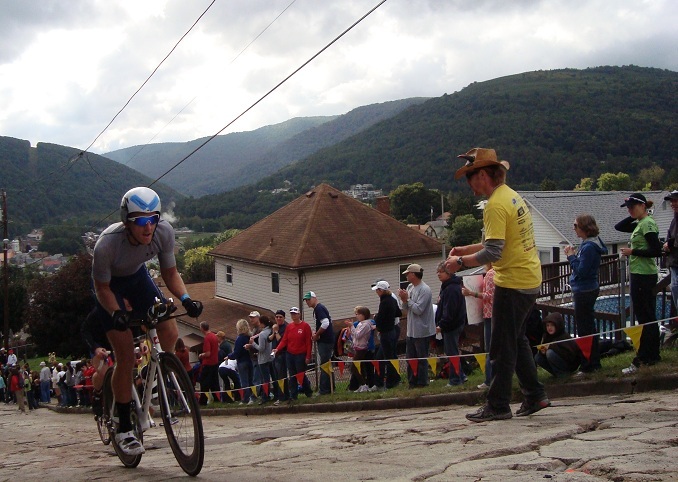 Once you've descended down to the Savage River, you cross over the bridge and head into the town of Westernport, a tiny community much of which is out on the side of the road, or on their porches to watch the race (and the carnage). As you turn left onto Rock Street, you get a clear view all the way up to "The Wall," and it takes your breath away. Stretching before you is about a quarter mile of smooth, steep road that has you in your easiest gear and your heart rate rising. Beyond that, the white surface of The Wall rises up in the distance, appearing completely vertical. The gradient, which peaks at 31%, is so ridiculous that even the road surface itself has been giving up over the years, making for a crack- and bump-filled surface that adds extra challenge. Go too slow up The Wall, and the bumps and cracks will take you down. One must also plan the approach carefully, so that no one is around to crash into you, a common occurrence. Those who can clear the wall without falling off or walking their bike up are rewarded by having a brick engraved with their name placed into the road surface. Compact cranks and granny cassettes are recommended, even if your name is Dave Scott. The one bright spot here is the amazing Tour de France experience. Race spectators are bused in to Westernport and they line the road with cowbells and costumes and are screaming at you all the way up. Thankfully, a decent swim and speedy descent put me ahead of the crowds so I had a clear shot at the wall. I took it nice and easy on the approach then went straight up the right side as hard as I could – success! The Brick would be mine! Unfortunately your reward for clearing the wall is another 2.4 miles of climbing at 6% average gradient to the top of Big Savage Mountain, with the last bit kicking up to 21% just for fun. Following this is another 25 miles, alternating between harrowing descents and vicious climbs. Many find the hardest stretch to be Killer Miller, a 1.3-mile slog peaking at 22%, coming at mile 40 after your legs have already died. 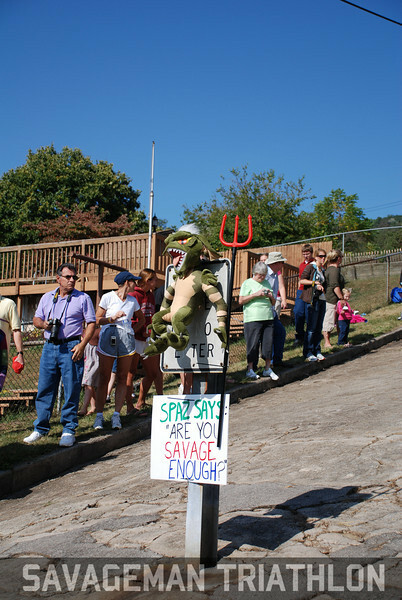 But the crowds and costumes line the road once again for extra encouragement! Along the way the roads are dotted with sarcastic signs such as: "How is that aero equipment working for you?" placed on a 20% pitch. Around mile 45 the serious climbing finally ends and you get a beautiful stretch of rolling hills where you can put your tri bike and aero helmet to good use for the first time in about 2 hours. I had paced things well so far and still felt good here, so I pushed hard up the rollers to keep the speed up and came into transition with a final bike split of 3 hours, 17 minutes, 8th in my age group once again. 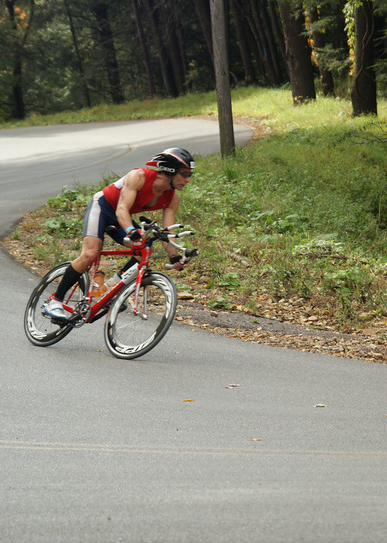 All of my attention and planning had been focused on the bike course, so all I knew is that the run had some hills too. I wasn't sure what to expect. The run course is two loops, and each loop has two steep uphill sections. The first is asphalt that loops around the park campgrounds, and the second is a rocky trail, Fire Tower Road, that goes straight up, turns around, and straight back down. I kept a sustainable pace and just kept jogging. Running is my weakest event and I don't think I actually passed anyone except a few people who blew up and had to walk. So at least I had pacing going for me! The downhill portion of the trail run is a bit tricky, so I was careful not to fall or snap my ankle. Around the middle of my first lap, Dave Scott runs up alongside me on his second lap. "Hey Dave!" I said. After our hellos I welcomed him back to racing, and he simply replied, "It's painful!" and then he motored away from me to finish 6th fastest overall. It was surreal to be running alongside "The Man" for a moment, as if I was part of the "Iron War." I started feeling pretty worn out on the second lap and any uphill sections were almost as slow as walking, but I kept on jogging. The final half mile I managed to put in a strong kick to finish in 6 hours and 6 minutes, 12th in my age group. Everything went perfectly for me, and I was thrilled to get my brick and make it through the race safe and strong. I immediately found my way to the free ice cream. Never before have I eaten an ice cream cone so fast! I cannot recommend this race highly enough. It is simply perfect. This area of Maryland is beautiful, the atmosphere of the crowd and athletes is amazing, the volunteers and race management are top notch. Savageman is not an easy place to get to, being a 2-hour drive from any major airport, but if you ever travel to do a triathlon, this should be the one you do. Big thanks to Kyle Yost for creating this event and helping to keep it alive. More thanks to all of the volunteers who kept us on course and fed, as well as the fans who cheered us on. This is one of those races where people will argue endlessly about whether a tri bike or road bike is the best option. 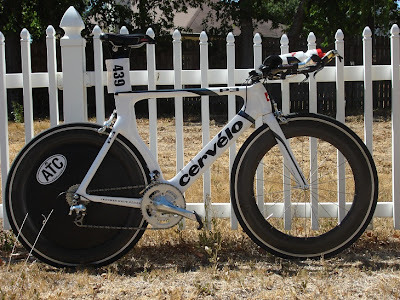 Take note that the course records and overall winners for men, women, and masters have consistently been athletes riding with full aero gear, including disc wheels, aero helmets, and tri bikes. The rolling sections and downhills absolutely allow you to gain time. The cool temperatures mean that aero helmets have no overheating penalty (you will appreciate the lack of vents). The one caveat is you need to be comfortable descending and climbing on your tri bike. If you are not, bring the road bike, and play it safe. Narrow front tires are not a great choice here due to the cracks and bumps on The Wall and the technical high speed turns on descents. Most importantly, bring appropriate gearing. 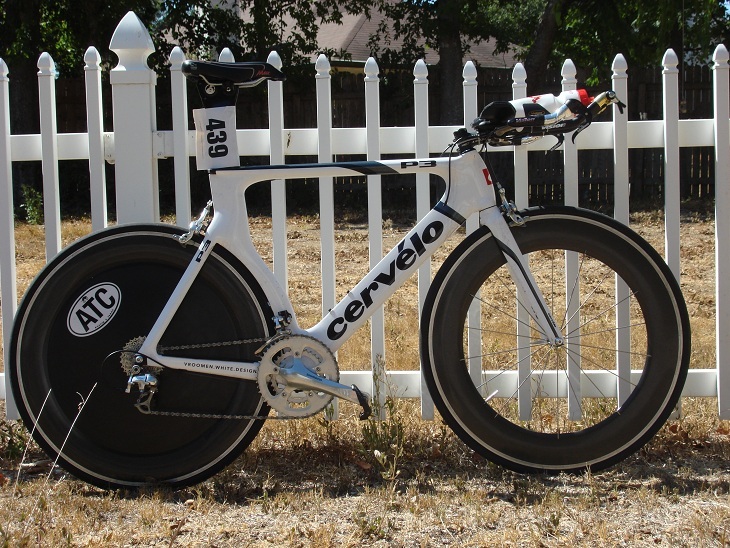 Even if you win Cat 1 road races a 39x25 setup is going to slow you down. True studs that can break the hour mark for 40k with a hangover and a road bike might consider standard cranks with an 11-28 cassette. Everyone else just go ahead and get some compact cranks with a 34 inner ring, and the 11-28 cassette. I'm glad I did. My bike setup is detailed below and I am 100% happy with the choices I made. 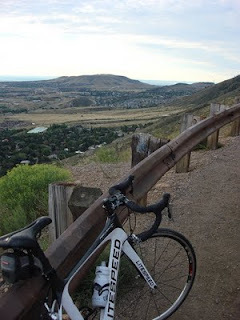 Thanks to ATC for building up the bike, it worked beautifully climbing, descending, cornering, and braking! More Videos of The Westernport Wall! Sept 11, 2011 was the inaugural year for the 70.3 World Championships to be held right outside of Las Vegas, in Henderson, NV. 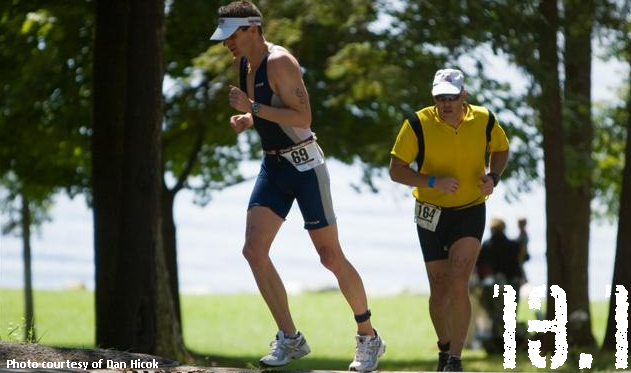 In past years, this event took place in Clearwater, Florida, where the course was known for being flat and fast. According to race organizers, 70.3 Worlds was moved to Henderson, "for it's beautiful weather (if you enjoy desert heat) and for its long-standing reputation as the best place to host a triathlon, as well as the top location for triathletes to compete on the most challenging race course in North America." This new venue offered multiple climbs that added up to over 9,700 feet, throughout Lake Mead National Recreation Area and a 13.1-mile run, which added an additional 2,000-foot elevation gain, through the streets of Henderson. Being my first time on this course and my first time to participate in 70.3 Worlds, I was planning for the worst (wind, hills, heat) but hoping for the best (finishing). There are a few things you should know if you get the chance to participate in this event. I highly suggest you attend the Friday night "mandatory" pre-race meeting, to learn all the details of bag and bike drop-off. I didn't go and ended up feeling like the kid who neglected to study for the big test. I'm calling my friends asking "what do I do with my run bag and bike bag"? What I found out is that, there are two separate transition areas, post swim/pre-bike and post bike/pre-run. You are given a "bike bag" and a "run gear bag" just like you would at a full Ironman. You drop both bags off, along with your bike, the Saturday before the race at T1, which is located at Lake Las Vegas. They take your Run gear bag to T2, located in Henderson, where on race day it will be handed to you (God willing that it makes it) by a volunteer. Another important fact to know about this race is that the bike setup area is at the bottom of a hill. You will literally be running up a 200-meter switchback to reach the mount line. This may help you decide whether you put your shoes on the bike, climb barefooted and put shoes on at the top of the hill, or run up in your shoes. I don't recommend the last option. I saw a couple of people attempting it and it didn't look to be going well for them. On race day, transition opens before the sun has even considered rising. We are pretty sure we saw some drunk drivers on our way to the Lake Las Vegas start (or maybe just sleepy triathletes who can't drive). We ended up being one of the first there and got a good parking spot. It helps that coming from Texas, their 4:30 am is our 6:30 am. On race day you are allowed into T1 so you can check your tires, mess with your nutrition, put your shoes on your bike...all the normal prep activities. I actually decided to rubber band my shoes to my bike and it ended up being a good decision. Because the event took place on Sept 11th this year, we all paused for 60 secs at the exact moment when 10 years ago the first plane struck the World Trade Center. Everyone, including those from around the world, quietly shared in that moment of remembrance. It was very moving. At 6:15 am the pros lined up while the rest of us stood on the bridge and hung out windows, trying to get a glimpse of the best in the world as they prepared to begin their day and our day of racing. After the cannon sounded and the pros were off, we all began to make our way to the swim start. We lined up by cap color in the order of our waves. The first of the pros were coming out as we waited. We got to watch as Andy Potts, first out of the water, raced the 300 meters around the end of the lake to the bike transition. He missed his row on the first try and we all went "ehhhhhh" and vowed not to make the same mistake. I noticed the pros were running with their helmets and putting them on as they ran. I figured I'd learn by example and give that a try. We got into the water with 5 minutes to go. The water wasn't as warm as I feared, being around 82 degrees, but it was very cloudy. For those who live and train in Austin, think the Quarry Lake. We all lined up under the bridge, many moving to the ledge on the right so they could stand up while waiting. We heard "one minute" to go and we all moved out to find our position. Without a "10 seconds to go" warning, the horn sounded and we were off, trying to fight for our tiny bit of water real estate and hoping to catch some feet. The course is about 900 meters out, into the sun, then you turn to your left, another 40 meters and another turn to your left, then back under the bridge and across the lake from where you got in, to the exit. From there you run the 300 meters to T1, grab your gear bag, into the changing tent, out to your bike, and up the 200-meter switchback to the mount line. After successfully managing the rubber-banded shoes and getting my feet strapped in, I am off! We all were told that the bike course was going to be pretty tough. To prepare for this one, I'd suggest you ride up and down 360 for 56 miles. It seemed to be either a constant climb or descent. The last 10 miles into town are on a false flat and when you get back into town, you have some twists and turns through neighborhoods to get you to T2. One thing I found funny was the elevation map in our book was upside down and backwards, so the course's long slow climb at the end might have caught some by surprise. The roads are really smooth, which is a nice change from the Texas chip seal we are accustomed to, but black as night. If it had been the week before, when the temps had soared to 107, we would have been frying like bacon in a nonstick pan. Luckily, a cold front had come through and we enjoyed a balmy 92 degrees, which felt almost cool after the Texas summer and our multiple days of 100+ temps. Coming into T2, the volunteers were lined up, ready to grab our bikes. I handed off my bike and was directed towards the run gear bags. I was moving slowly enough that the volunteers had time to find my bag and hand it to me. Then, into the run tent where I eased on the running shoes and prepared myself for the last and most dreaded of the day's legs, the run. On to the run (or for me the hobble). The run starts out going downhill (think Expedition heading towards Lake Austin Blvd). The street is shaded and the crowds are thicker here. 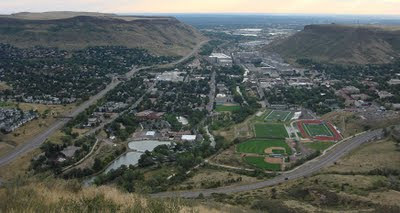 You run along for about 1.5 miles, then you take a right, head about 200 meters uphill, turn around, and head back down. Then you are back on the street you started on. However, this time you are going uphill (think Expedition heading towards 35th). All my friends asked me why mile 2 looked like I decided to sit down and enjoy a beer. There is your answer. So, you climb for a mile on this still nicely shaded street, you take a left and pass the finish chute and the majority of the family and friends out cheering for their athletes, take another left, and you are on the "highway to hell." It's not actually a highway, but you really do feel you are in hell. It's a blacktop road that goes uphill for close to 1.5 miles (think Expedition to 35th,again), and there is no shade so few people want to stand along it to cheer. After the climb I should have been grateful when I turned around to head back down the hill but all I could think of was that I had to do it two more times. The volunteers were great, though, and the aid stations well stocked. At every aid station you had sponges, Powerade, water, ice and cola (Unfortunately they didn't have any Tums, which I needed about halfway through the race). The three loop out-and-back course allowed me to see my friends and fellow athletes and to cheer them on (and get cheered on by them) and to see my friends and family who came out to share in my 70.3 World experience. The last 2 miles of the run are wonderful. They are downhill and deliver you straight into the finisher's chute, where you are welcomed by smiling volunteers, a cold towel, a cold bottle of water, and the inevitable but always welcome, "Marla Briley, You Are A Finisher." All in all, though I didn't have my best day, because of a well-organized race, a challenging course, and my friends and family, I had a great experience. I would recommend, if you get the chance, to head out to Henderson/Vegas and take on the course yourself. Not quite the Tour de France, but with local flare all its own, the 2011 Tour of Austin attracted some of the best riders in Texas for three days of crit racing. And truly, what better plans can be made for a Labor Day weekend than getting out on the course and mixing it up with top teams for prize money – and more importantly, bragging rights? 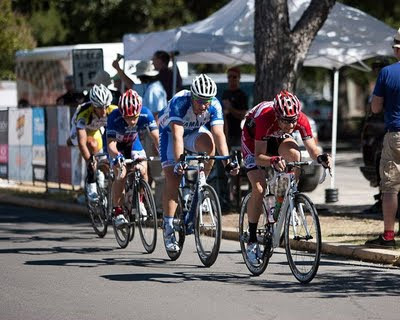 Unlike the previous year, the 2011 Tour of Austin wasn’t scored as an omnium, but rather three separate criteriums. Saturday’s KGS Bikes Driveway Grand Prix was held at the Driveway, Sunday’s ROL Wheels Pickle Crit at the JJ Pickle Research Center, and Monday’s 4th Annual Kenny Hills Autowerks eRacing Stigma Criterium at the Austin State Hospital. Velonews reported on the event, highlighting the superstars of the men’s race, as well as the battle between Jen McRae of 787 Racing and Jen Purcell of Danbury Audi, who they praised as “two of the nation’s top sprinters.” In the men’s P12 race, riders from the elite Dallas-area team Elbowz Racing took the win all three days. Tour of Austin marked my first bike race (not counting the Driveway) and so it was filled with excitement and angst. I was not quite sure what to expect, but Day 1 was the Driveway full loop so I was not completely in the dark. My race was Cat 4 women only, but we started just 45 seconds after the women’s 123 race. There were roughly 20 girls in the cat 4 race and maybe a little over 30 in the cat 123 race. The Driveway usually has around 10-12 ladies, so this was a welcome surprise. With only two months’ experience I knew that I needed to be near the front if I was going to make it out of the races without losing skin, or worse, breaking something. The Cat 4 race started out and remained fairly relaxed. No one was excited about being on the front. Colavita put some girls on the front throughout the race as they looked like the only group other than Team Brain and Spine to have a whole team. There were a few attacks here and there, but none stayed away for very long. I even attacked to win the 4th prime and was way out front with a Nick Lopez rider, but she sat up and I thought about going for a breakaway myself, but re-evaluated, thinking it would cost me too much in the end. As we entered the last 2 laps, mass confusion ensued. The cat 123 race caught us, and I thought it was a breakaway so I swerved wide to catch it, only to find out that I could not get on their wheel. It would be a mistake that I could not recover from, because I ended up taking the whole pack through the last lap only to get pushed onto the rumble strips and sprint for 4th place. All in all, it was a sprinters’ race with the whole pack nearly intact until the end. Being overtaken by the 123 break and then the pack effectively neutralized our race for nearly a lap and prevented the last 2 laps from being hard enough to put the sprinters into difficultly. Saturday’s course proved to be very different dynamics than the Driveway. The course was more “technical” (as people who know about this stuff would say). On top of that, the wind out of the north was wicked. Riding to the race I thought, “If I don’t wreck in this race it will be a miracle.” Although I approached the race with some trepidation, the conditions played in my favor. The race started with the same field of women as the day before, which put me at ease knowing who I was racing against. After only a few laps into the race when the group hit the head wind after passing the start/finish line, no one wanted to be on front so the whole field slowed to a crawl. Sadly, it resulted in one girl getting tangled up and going down. The front of the pack rode away from the rest of the group and turned on the gas, gapping the remainder of the field. Luckily I made it through and after making sure everything was okay behind me started working with the lead pack. A few laps later, the course had taken its toll and the lead pack consisted of only four girls. For the most part we worked together. With roughly 6 laps to go, the Nick Lopez rider and I pulled away from the other two girls on the windy section. I knew it was a little early to be pulling away, but I thought we might be able to make it work. After 2 more laps, the two other girls were back on and the entire field was all over the place. We continued to work together until the last lap. I decided that if I wanted to win this race, I couldn’t leave anyone close to my wheel in the finish. I decided I would put in 4 or 5 hard efforts to see who was fresh and who was just hanging on. With roughly 600 meters to go I put in a small attack and realized no one was on my wheel. I looked back to see the Nick Lopez girl about a bike length back, so I put in another hard effort, which she countered. Then when we hit the last 200 meters, I stood up and started stomping on my pedals and praying to the bike gods that I could hold her off. To my surprise I did. Thankfully, everyone in the race came out without any severe injuries. The wind and tight curves that played in my favor also caused the entire field to get busted up along the way. It was a tough/fun day, and I was honored to add a win to the palmarès of the highly accomplished ATC Women’s Racing team! Summer in Colorado is a cyclist’s dream: bike lanes everywhere, a wide selection of multi-sport and cycling events, incredible climbs and trails and routes to any place you want to go. “Share the Road” signs were in spots that Texas would be more likely to announce “Will Shoot on Sight,” not to mention “hot” is at least 15 degrees cooler. But more than that, it’s the bike-minded people that set the area apart. And there was no better time to see that culture in action than the week of the first USA Pro Cycling Challenge, Aug 22-28. Many consider the Pro Cycling Challenge a revival of the Coors Classic of the 1980s, a hugely popular stage race that hosted greats like Bernard Hinault, Greg LeMond, and Davis Phinney, just to name a few. 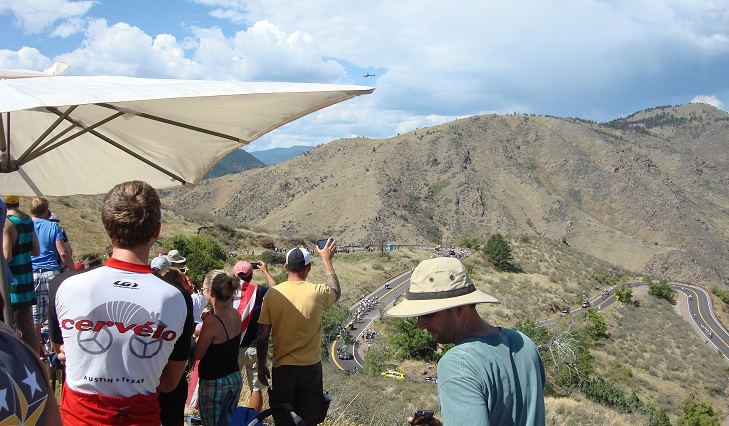 The Coors Classic got its fair share of media attention in its heyday, inspiring a fanatic following and even a full-length movie with a mustached Kevin Costner (American Flyers). For the 7-day 2011 Pro Cycling Challenge, roughly 130 of the world’s best riders showed up, including Cadel Evans, Frank and Andy Schleck, Levi Leipheimer, Christian VandeVelde, and Tom Danielson. And along with them came more than 1 million fans. Shawn Hunter, co-chairman and CEO of the Pro Cycling Challenge, called it a “518-mile rolling festival.” The sixth and final stage – a 73.79-mile course that began in Golden, wound up Lookout Mountain, and ended with five loops in downtown Denver – attracted an estimated 250,000 people, the largest crowd of any cycling event held in the United States. There were literally thousands of cycling fans lining Lookout Mountain’s slopes, the best part being that nearly all had arrived by bike since the road had been closed to traffic for the race. 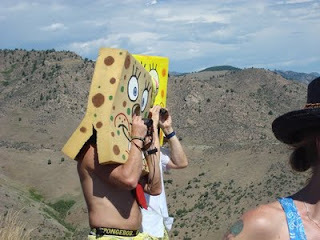 There were road bikes, mountain bikes, tandems, roadies, triathletes, commuters, women, men, kids, babies, pasty guys in speedos, a handful of Sponge Bobs, a runner who managed almost perfect form despite the huge pair of antlers strapped to his head. I’d honestly never seen anything like it, and it went on for hours before the team buses even arrived at the start. When the time finally came for the race to start, we took our places in the crowd peering down at the swarm of riders and spectators massing in the city center. Around 10:45, we watched the riders wind through Golden and disappear around the back of Table Mesa, then reappear again on the other side. They were preceded by dozens of cars and motorcycles, and the flashing lights and hubbub only seemed to heighten the suspense. “Here they come, here they come!” was interspersed with more insightful commentary from spectators who’d had the foresight to bring binoculars. The atmosphere was charged with the type of boundless excitement you’d get if you told a room full of first-graders that Santa, Justin Bieber, and Pocahontas were going to make a personal visit during recess. Before the riders reached the first section of switchbacks, the spectators lining our section of road sprinted to the turn that overlooked them, cheering and holding their iPhones and cameras overhead. A break had formed at the start of the ascent and was still holding strong, with a group of 8 or 10 riders moving at an impossible speed up the slope. I soon realized that our detailed chalk-work was for naught. 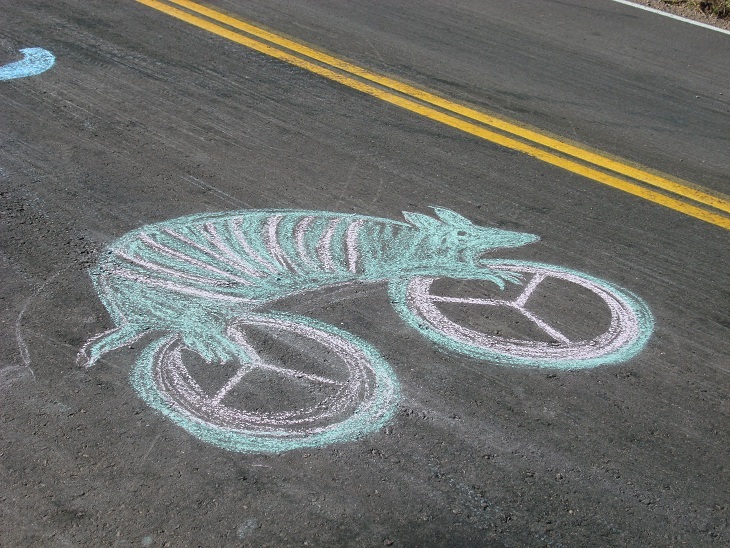 Who has time to appreciate an artful armadillo or a perfectly rendered Cervélo “é” when sprinting up a category 2 climb? I had only an instant to see the riders up close as they passed through the screaming crowd, their faces twisted into expressions that made it clear how much effort they were putting out (and perhaps expressing a little concern about the proximity of the crowd, as well). I didn’t envy them this part of the journey. And then, the stars of the show were gone as quickly as they’d arrived. I imagine that watching a pro cycling race in person is something like watching the ball drop in Times Square on New Year’s Eve – you wait and wait for it to happen, and no matter how much you prepare yourself or try to savor the moment you’ve been anticipating, you blink once and it’s all over. Most people had to consult their cameras to see what had just happened. And yet, the consensus of the crowd seemed to be that it was a fully satisfying experience – Hincapie might have been a blur, but it was still Hincapie, in the flesh! Many of the fans around us were running to their bikes the second the last rider had passed, hoping to catch the peloton again on another part of the course. Our entourage took its time, gathering empty cans and water bottles and comparing observations. We rode back into town and sat on the grass in Parfet Park to watch the finish on the jumbotron. There, the crowd was a little more tame (no gorilla suits or speedos) but every time a favorite came on screen a shout went up. The race ended in a bunch sprint, with Daniel Oss of Liquigas-Cannondale taking the stage win. Oss was supposed to be the leadout man for teammate Elia Viviani, who had won two previous stages, but Viviani let his teammate have the (well-deserved) prize when it was clear that no one could come around him. In the overall standings, American riders swept the top 5 places. Levi Leipheimer of Team Radioshack won, closely followed by Christian VandeVelde of Garmin-Cervelo, Tejay Van Garderen of HTC-Highroad, Tom Danielson of Garmin-Cervelo, and George Hincapie of BMC Racing. While some theorized that many of the other riders, including Cadel Evans and the Schleck brothers, were recovering from July’s three-week Tour de France, no doubt the altitude also took a heavy toll. The highest climbs in Europe are around 9,000 feet, and the USA Pro Cycling Challenge featured three mountaintops at 12,000 feet. Stage 3’s 10-mile time trial started at 9,000 feet and finished at 11,000 feet. Many of the top Americans in the race trained at altitude – team Garmin-Cervelo, for example, is based in Boulder. Colombian riders from the teams Gobernacion De Antioquia-Indeportes Antioquia and EPM – UNE, many of whom regularly train at 6,600 feet, also had a particularly strong showing in the climbs. Special thanks to James Taylor & family for their incredible hospitality. For another very interesting and funny read from our corner of the course, check out our friend Dave's report.